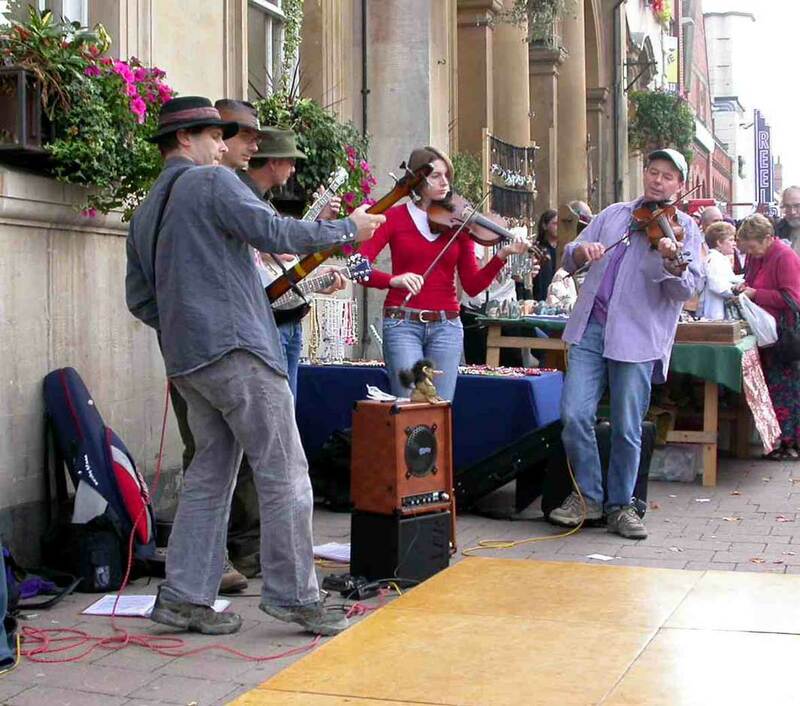 Touchwood is a lively group from the East Midlands that has been performing Appalachian stepping to Old Time music since 1986. Our style was heavily influenced by the Green Grass Cloggers and the Wild Goose Chase Cloggers from the States. Touchwood is characterised by a lively but relaxed style. The dances include square dance style big figure routines as well as solo freestyle clogging and Appalachian couple dancing. It is a deliberate decision that we do not wear taps to dance. We are the only UK team still to perform in this Old Time style. We have a lot of fun when we dance and this infectious fun soon spreads to our audiences. Over the years Touchwood has been a familiar sight, performing and running workshops at many festivals, including Chippenham, Warwick, Whitby, Towersey, Lichfield, Lincoln, Wimborne, Bridgnorth, Harrow, Bedworth and Reading. Our band "Going Tapless" provide the exciting rhytms from the Old Time style of music that keeps everyones feet tapping! The team also boasts caller Lynne Render, who calls for both American & English dances. It is with great sadness that we heard of the death of our dear friend Mick Brooks who sadly passed away on 10th November 2005. He has been a great friend of Touchwood over the years playing for us on many occasions and helping us out more than once at short notice when we were musicianless! His fiddle playing, his warmth and his kindness have been an inspiration to us all.